Late summer is the perfect time to think about putting your Niagara on the Lake property on the market. The overall Ontario real estate market is hot right now and even more so in the coveted Niagara region. The perfect weather and great lifestyle opportunities of the Niagara region will bring a host of potential buyers to any open house. However, to realize your home’s full market value and to get a quick sale, you will need to properly stage your home. Here are some great tips on how to properly stage your home for a quick sale. Even in a hot real estate market, your home will not sell nearly as quickly without being properly staged. A well-staged home is a home that will allow a potential buyer to envision themselves and their lifestyle in your space. This is such an important piece when it comes to selling your home. If your home is staged properly it will not be on the Niagara on the Lake real estate market for very long. A properly staged home is one that uses ‘the less is more’ approach. Remember to stage your home with the minimal amount of furniture in each room. This minimalist approach will allow any potential home buyer to see the floor plan and overall layout of not only each room but also the entire house as a whole. Remember to also use this approach when it comes to your walls as only a few pictures and mirrors is a great addition to a well-staged home. More than a few can make your walls and your home look crowded. With the ‘less is more’ home staging approach, you should start to see offers pouring in after your first open house. This old adage holds true when you are looking to get full market value for your home. When you put your home on the market, you will want a home that looks well cared for and does not need a lot of renovations or replacements. Renovations and replacements are the quickest ways to scare away potential buyers. Instead, take the time to make sure your home is in great working order and is presentable and attractive to buyers. To realize full market value and a great final exclamation point on a well-staged home is a newly painted home. 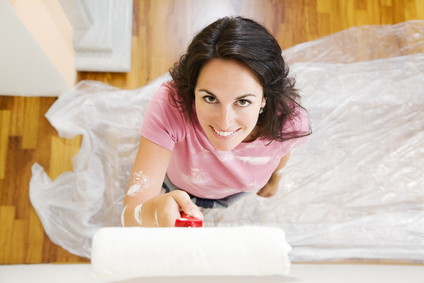 A fresh coat of paint on your walls is a great way to finalize a sale. If you choose to paint your walls, remember to use a neutral colour such as tan, beige or grey and stay away from bold or dark colours. These neutral colours are far more attractive to the buyer and will make your home that much more attractive. If you are looking to sell your home, it is so important to make sure it is properly staged. If you would like help staging your home or have any questions about the Niagara on the Lake real estate market, stop by today or visit us at www.niagara-homes.ca. I look forward to working with you! This entry was posted in Blog, Uncategorized on July 19, 2016 by Kevin Stokes.